Henry Huntington’s impact on the public transportation system of Southern California was far reaching. 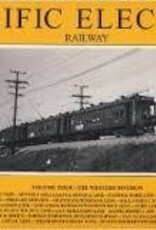 His Pacific Electric red interurban cars went everywhere — except for the western portions of Los Angeles County, where Sherman and Clark’s 180-mile Los Angeles Pacific Railroad dominated. As of March 19, 1906, an agreement was reached to purchase the system for $6 million, securing a controlling interest in the LAPR on behalf of the Southern Pacific. 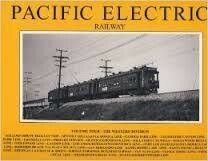 Pacific Electric Railway Volume 4: Western District includes coverage of the entire merged system.